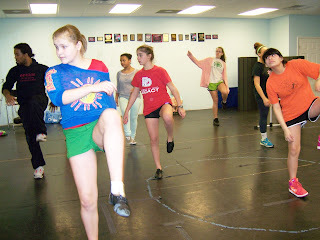 In addition to Dancers Unite’s Competition Dance Company, Dancers Unite also offers recreational dance classes for students just interested in taking a once a week dance class. Dance is a great way to stay fit while learning something new and having fun! We have many dance classes for teens to choose from, from tumbling to ballet to hip hop to lyrical…and more! We already have posted our 2013-2014 Dance Class Schedule so you can go ahead and register now – and take advantage of our early bird special!